Weekend Obsession: Tughra by Shamaeel Round Two! 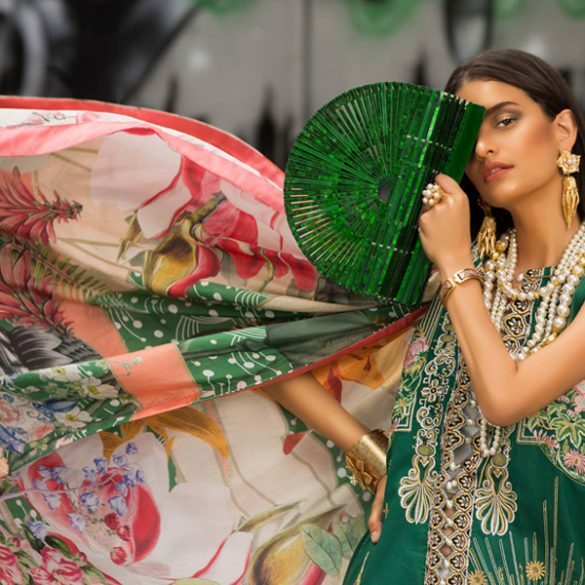 It was just last month that Shamaeel Ansari revealed her plans to expand into affordable luxury pret with her new label Tughra – The Sultan’s Seal; inspired by ancient Ottoman art and architecture. The debut collection exhibition in Lahore was sold out and the second took place last weekend in Karachi with equal fervour. In the first capsule glimpse we saw Shameel’s signature earthy rich tones used to paint ethnic patterns mixed with young playful silhouettes. The second edition displays a shift to a cooler palette of royal ceramic mosaic designs in fresh turquoise, cobalt and peacock blues, and rich olives. In keeping with Tughra’s essential aim to cater to younger audiences, the collection is much like a breath of fresh air; very clean, crisp, and rejuvenating. The Central Asian inspired motifs are brilliantly authentic and Shamaeel has clearly had a lot of fun with the adventurous and flirty yet modest shapes. Bias hemlines, flapping sleeves, effortless twists and knots, vests and capes forming soft layers come together in a way that leaves the viewer engrossed in the blurred lines between shape and design. A skill characteristic of only the most advanced designers. If you look closely you will notice all the in depth detailing from the ethnic Turkish beaded buttons and tassles to the printed inner lining finishing and intricate embroideries. As promised, Tughra also includes accessories and beautiful scarves with Iznik printed and stone clad clutches for the independent fashionista who chooses how to style her own individual look. Tughra will be retailing from February 2014 at leading multibrand stores including Labels, The Designers, Ensemble, and Melange. The separates are priced between Rs5,000-Rs25,000. For more collections visit the Shamaeel Ansari Profile Page. Trend Alert: Mashall Chaudhri in a Bunto Kazmi Bridal Like None Other!